Ironically, the case was argued by the Alliance Defending Freedom (ADF), which the SPLC brazenly labeled a hate group because of its conservative Christian views. As noted earlier today on Forbes.com (unrelated to the SCOTUS ruling), “Alliance Defending Freedom are currently classed as an extremist hate group by the Southern Poverty Law Centre.” Yes, an extremist hate group! And that’s why I continue to expect a pushback against this left-leaning, increasingly-secular, oppressive and tyrannical attack on our freedoms of conscience, freedom and religion. Enough is really enough. In fact, it’s been more than enough for many years now. If we don’t speak and act and do what is right today, we’ll have a lot of explaining to do to our kids and grandkids and great grandkids — not to mention to God as well. Rather, it means that anything that threatens our most fundamental freedoms — to repeat, our freedoms of conscience and religion and speech — must be resisted. Abcarian wrote, “You might have thought that today’s landmark Supreme Court decision represented the end of discrimination against gays who want to marry. But according to one dissenting justice, the decision instead represents a threat to another group of citizens. Awesome. Thank God righteousness prevailed. The mainstream media is stunningly useless at this point. What if Christians sued for their perspective in these matters — first ? Since Colorado has ruled that Christian speech can equal hate speech, and that Christians can be refused service, it would make for an interesting case. conditions as are offered to other members of the public.” There will be more incidents of discrimination, and more cases that will settle this definitively. This one’s not it. I don’t think anyone is asking for carte blanche. They’re asking for the right to speak freely, and not be compelled to speak against their conscience. This is the case with the baker, the florist, and the photographer (boy, that almost sounds like a nursery rhyme). Except businesses such as Masterpiece have always served homosexuals and continue to be happy to do so. The sticking point is whether the state has the right to force them to deny their religious orientation and support LGBTism when asked. In this case SCOTUS found that Colorado had shown such bigotry in deciding the case they could repeal the decision without even considering how lifestyle rights balance with freedom of religious orientation. You’ve interpreted correctly. I agree that this ruling is far from the end of the issue. I wish the court had been more definitive. On that, we both agree. There will be other cases, I believe the florist is up soon, and maybe we will get a more definitive answer. The answer is YES. Sheesh. Whattaya think the case was all about? SCOTUS said CO showed CO & the HRC showed undue hostility toward Jack & did NOT provide him adequate religion freedom as guaranteed under the Constitution. market.” so the matter isn’t really settled. This one baker won this one case, but other cases of discrimination will have to be decided separately, because this ruling is not a precedent for other cases. Whether other businesses will be allowed to discriminate without repercussions is still an open question. Nice try. Bottom Line: Jack does NOT have to make wedding cakes for SSM. Try to spin it any way ya want but that’s the outcome. The LGBTQABCXYZ+50 crowd & their supporters LOST. So YES, it REALLY is a CASE for other businesses to be allowed to discriminate without repercussions. (“Discrimination” btw is not necessarily a bad thing.) And YES it is a precedent. ALL court rulings are precedent. Now, what we know, as YOUR OPINION proves is that there is still an ongoing always ever present “open question” because Jesus hasn’t come back yet and therefore there will ALWAYS be the spiritually-dead and blind with us. So therefore there will always be the reprobates who will try to spin anything & everything to their advantage and benefit. Since the law is the same as before, it is still a violation to discriminate based on sexual orientation. Correct in that the law is the same as before. Discrimination based on one’s so-called & supposed “sexual orientation” was never at issue. Once again proving that Jack & everyone else has the Constitutional Right to deny a product/service that violates their religious convictions. SCOTUS found that the CCRC impinged upon Jack’s RIGHT to exercise his Freedom of Religion. Thanks for highlighting that for all of us. Thanks for the public display that you have NO clue what is “rational”. Jack IS denying a product that violates his religious convictions thanks to SCOTUS!! If Jack gets to so does everyone else. That’s how SCOTUS rulings work. Don’t fret. A lot of people, like you, have not understood the Court’s decision. 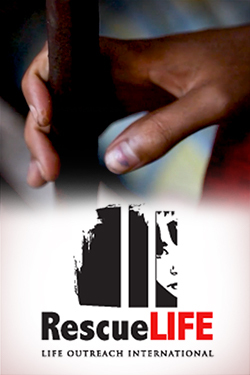 Phillips was exonerated because the Court found bias on the part of the Commission. What does your snark do? It doesn’t make you right. Does it make you think that you’ve protected your ego from harm? There ya have it AGAIN, folks!! The self-imposed narcissistic, psychotic god-complex at work again. Delusion at its best. 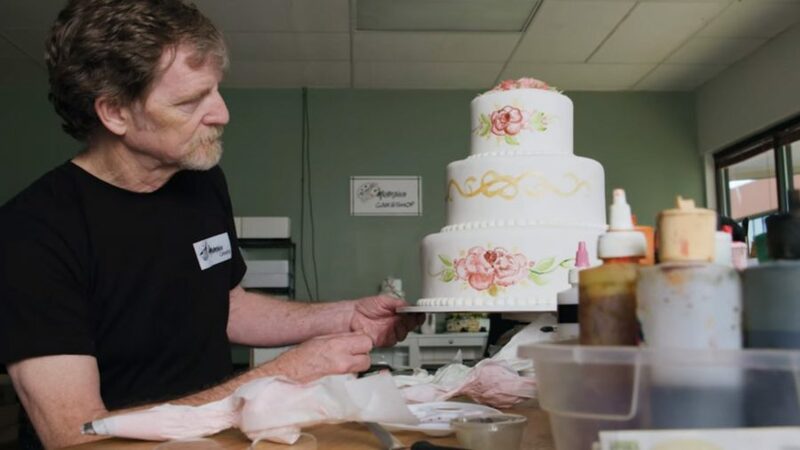 The CO Law may stand untouched but so does the Federal Law & Jack Phillips is back making wedding cakes. That’s all the evidence that one needs. But don’t you fret, Barronelle Stutzman & the Kleins are going to SCOTUS and it’s gonna be abundantly CRYSTAL CLEAR soon that Religious Freedom will trump Sexual BEHAVIOR. Until such time as the 1964 CRA is changed or amended to include sexually immoral behaviors those holding to religious convictions are protected by the Law & sexual BEHAVIOR is NOT. That’s quite the overreaction you have going for you there, to compensate for not bothering with the truth about the case. But, it’s canned. One size fits all. Coyp/paste. You don’t even work at it. Still eager to collect your Plato Awards I see. Okie Dokie. Here ya go! Why are you avoiding the actual issue? The one you don’t understand? Didn’t avoid the issue at all. The one you don’t understand. Your inability to understand doesn’t reflect whatsoever upon mine. Wow, you don’t even know what the issue is. All you have are canned responses. Ad homs at that. You poor thing. Wow, you don’t even know that you still aren’t a god with omniscience or how to tell the Truth. All you have is babble. Poor thing. Now let’s see how long it takes a for the little puppy to come back for another helping. He does have quite the appetite! The last time he trolled me this went on for day before he finally ate enough of his own vomit to get full. All this because you were corrected after posting an erroneous statement. Hmmmm. Your “correction” is just more delusion on your part. Nothing erroneous about my statement. Hmmmmmm. Oh, and btw, in case you’ve not been been following the most recent SCOTUS decisions & ruling further refute your suppositions. Barronelle will be vindicated just like Jack & Pregnancy Care Centers have been vindicated as well. Like I said with the Hobby Lobby & Little Sisters rulings – better get used to it. There’s MORE to come! You can huff and puff but you’re still wrong. You’re still you. You can still swim in the river Denial but you’re still drowning in Delusion. Still just a spiritually-dead, totally-depraved, son of disobedience & child of wrath who trolls Christian pages to do his daddy, Satan’s, bidding because he can only do what he’s driven to do. Bottom line: I refute what you say. You go on the attack. Bottom line: you are relegated to personal attacks. Bottom Line: You need to learn the difference between “reject” & refute”. You haven’t refuted anything. As for you last, is that your new game? You have the gall to talk about personal attacks after you spent several days personally attacking me? LOL No surprise you’d call the Truth an attack. Ain’t nothing I said that ain’t true. But see how you say NOTHING about the subject — just about me. It DID happen and you know it. And you’re not fooling anyone. Do you really think others are as blind as you and can’t see that you’re a God-hating troll coming to a Christian site just to harass? You spent day after day, numerous times a day attacking me, and you do the same thing on Facebook – Jeffrey Fuchs from Jackson Heights. Ya know, the lawyer for accountants who actually thinks he’s ready for SCOTUS? Is that why you hide behind your “deal with it”? So, in addition to the Christian Post you’ve found another site to troll. You bet I’m addressing you because I’ve already addressed the subject and you tried to turn your lack of understanding around onto me. Didn’t work. Just like you tried to bully your way thru the last time and it didn’t work. Just one example. Thanks. BTW, it’s still illegal to discriminate on the basis of sexual orientation. Which, of course, is what brought the suit of. Not playing your silly game. Btw, it’s still NOT illegal to discriminate on the basis of sexual orientation. Which, of course, is what brought the suit and Jack WON!! We’re winning. Get used to it. Oh, btw, not only is “sexual orientation” NOT mentioned in Title VII of the 1964 CRA but there is ONLY ONE “sexual orientation” and that is Heterosexuality. Another other is an aberration and not true. Much like the word “gay” it is simply a misnomer the LGBTQABCXYZ+50 crowd have some up with to try & distract & divert from the Truth. In much the same way as they don’t want folks using Homosexuality because it is self-describing & therefore self-condemning and they know it, so they distract & divert with “gay” they are doing the same thing with the false narrative of there being any other “sexual orientation” other that the true one which is Heterosexuality. Glad for the opportunity to help you out. You’re welcome. So you’ve got nothing. Nothing good at least. “We’re winning.” Let me know when the camps are up and running. You understand nothing. Nothing good at least,. Is that an attack? Will you continue with this nonsense for another several days as you did before? A description of the actual tactic used? That’s not a personal attack. Only when it’s done toward you I guess. And I guess the answer to my question is in the affirmative as well. Oh well, I’ve got the time whenever you get hungry. A description of the actual tactic is not a personal attack. For example: you’re doing your “I’m rubber, you’re glue” routine again. Thanks for glorifying God and being of such good use to Him! Keep it going. I’ve not lied. I doubt you’d know the Truth if He stood in front of you & showed His nail-scarred hands. But I’ve not lied. In the context of this discussion, I’ve not lied. This is not about Jesus. It isn’t really about me or you, either. But that’s where you took it. BTW, in one hour I’m leaving for the airport to fly to another city to visit the deathbed and perhaps attend the funeral of a relative. Until I return, which may not be for a week or more, you will get the last word. Congratulations. BTW, you read the end of the book. You won. So, I don’t quite get why you are so bitter. Show me on the doll where the man touched you. You lied with your first comment & you just ied again. At least twice. (a) The laws and the Constitution can, and in some instances must, protect gay persons and gay couples in the exercise of their civil rights, but religious and philosophical objections to gay marriage are protected views and in some instances protected forms of expression. Note: There is NO “civil rights” for “sexual orientation” nor for a wedding cake. Your second lie: It’s not about Jesus. See the evidence above and THAT sure sounds like you took it to personal. So maybe that’s your fourth lie. Well, that’s weird. Answered this last night but it seems to have disappeared. So let’s try it again. No doubt you’ll be eager to vomit out a response when you get back. You lied with your first comment & you just lied again. At least twice. Since I gotta little time on my hands now I might as well chronicle a few for the record,. “Held: The Commission’s actions in this case VIOLATED the Free Exercise Clause. Pp. 9–18. “The judgment of the Colorado Court of Appeals is REVERSED. Note: There is NO “civil rights” for “sexual orientation” nor for a wedding cake. Also, for anyone else reading this, notice how SCOTUS has succumbed to the deceptive lies of those who strive to redefine the English language? Notice how they don’t use the accurate & self-condemning word “Homosexual” but instead the PC misnomer? Do you see how Satan works in his insidious ways? Uh, yes, it is. Whether you choose to acknowledge & recognize it or not everything is ALWAYS about Jesus. How did you make this about YOUR religion? WHY did you? Here we were, having a polite discussion on a legal issue, and you go all REDRUM on me. And you don’t even have the decency to be original! Copy/paste your own shtik. Your “opponents” are NOT one size fits all. But, apparently your life is just that narrow. OK. Bye. Oh, I had a wonderful in Iceland! I did feel guilty, at first, going so soon after my cousin’s death, but the trip was paid for and it was something I really wanted to do. Really glad I did. It reminded me of how insignificant you are to me. As I am to you. And yet, you spend so much time looking for people to throw your canned sermonic diatribes at. Ta. Uh, citing God’s Word where it’s applicable isn’t making it “about” my religion. I cited them because the shoe fits. There’s nothing polite about you. And yes, you’re all the same. Spiritually-dead, totally-depraved sons of disobedience and children of wrath who simply do what your daddy, Satan, bids you to do. He never comes up with anything new. Same old stuff and you don’t even realize it. And remember Buckwheat, YOU are the one who’s trolling a CHRISTIAN page and YOU are the one who had to throw your blather about in response to my comment. I hope it is “bye” and for good. But I ain’t holding my breath. But what a nutjob you are. “Just couldn’t wait.” Ha. I’ve been home for almost a week. “To get back on here.” I get notifications. But you said it so it HAS to be true. Buckwheat? So, you’re a racist, too. Quel surpris, as they say in Denmark. Like I said, I wasn’t holding my breath. Doubtful anybody would think you’re a man of your word. And no, I’m not a racist. My Black Brothers & Sisters can attest to that. “Buckwheat” is a term used for a piece of grain that doesn’t amount to squat and can’t even be used in for a loaf of bread. But hey, thanks for showing all ya got and proving once again that ya have some a pathetic existence all ya can do is troll CHRISTIAN pages. You have glorified God once again by proving the depths of depravity that Jesus died to save people from. Would you like to surrender your life as a slave to the Lord Jesus Christ and be freed from your Sin master?